Just to let you know that the lamp has arrived safe and sound, got it last week. Thanks for packing it so well, it got here in perfect condition. 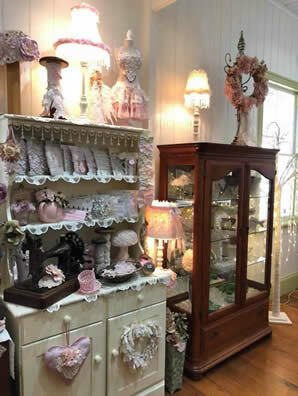 I absolutely LOVE it, just gorgeous! 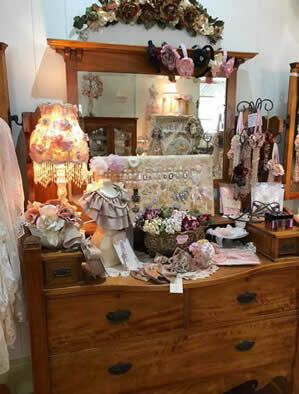 The flowers and beading are just divine and the lace is beautiful! Anyway, it's the highlight of the lounge room and brightens it up beautifully! So happy that I was lucky enough to buy it and I will certainly enjoy this stunning lamp, for years to come! Jule, well, what can I say ???? The ballet shoes are beyond stunning, I adore them, so very unique. LOVE, LOVE. And thank you so very much for that Trumpet Flower ……wow, it is awesome. It is going to go into my bedroom. Soooooo thrilled with it all. And again, thanks so very much. I am sending you this message, to let you know how you inspired me into making a picture frame collage of my Grandmother. She was a big influence in my life, and I loved her dearly, so what better tribute could I give her, than to make something incorporating all the things that she loved, made, and where typically her. Thank you Jule for your inspiration & keep up the great work. Thank you so much for the excellent customer service! I love everything you sent me I am just starting a new order which I will put in on pay day. Many thanks for sending my order through to me. 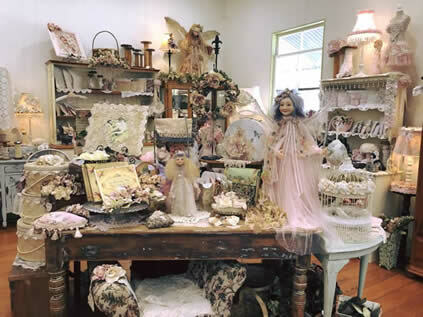 It was like having a birthday sitting and opening all the little treasures, I loved it. is now open at Whiteside! Please see all details and a few images from the new shop below! 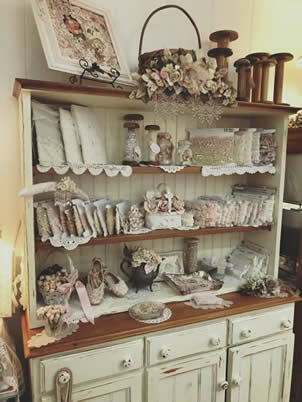 a wonderful range of Vintage Inspired Trims, Pearl Laces, Sparkly Embellishments and Hand-crafted Gifts. Join now to hear all the latest information on new products, workshops and events! 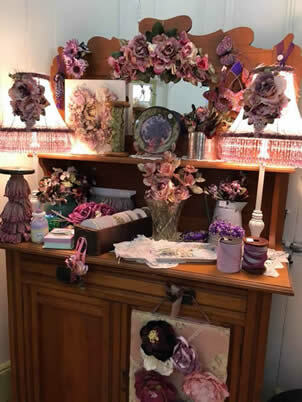 My on-line shop offers an extensive range of craft products suitable for embellishing items such as lamp-shades, frames, tassels, hats, bags and more! 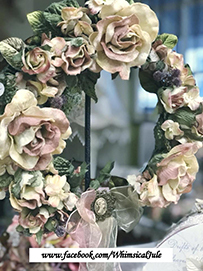 Many of the products are ‘hand-made’ ensuring that special touch of romance for your craft projects and new products are added regularly. 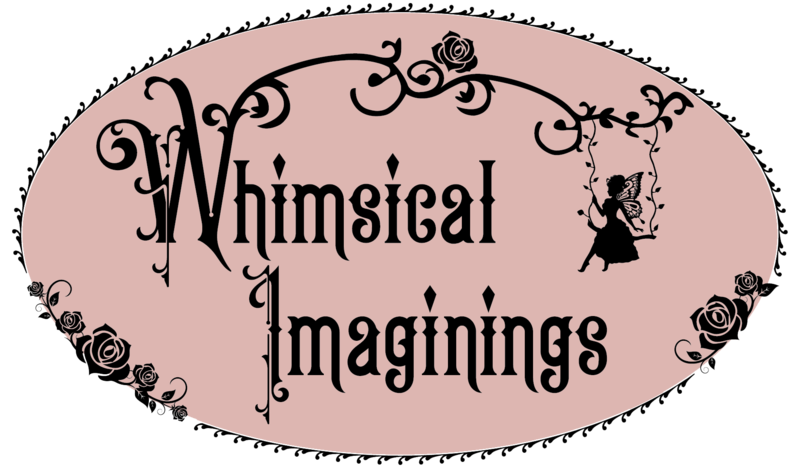 Pay a maximum of $10 postage & handling for any-sized Whimsical Imaginings Order! If you or someone in your family loves cars or motorbikes then you will find over 400 tin signs in my husband's ebay store, Steven's Collectables! *Do You Bee-lieve? 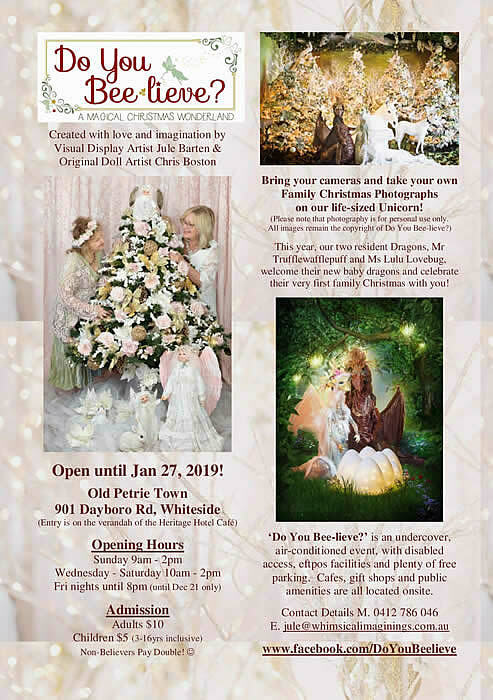 * is the whimsical creation of designer and dreamer, Jule aged 59 and Chris aged 65, a multi-award winning doll artist whose 30 year career, has seen her exhibit both Nationally and Internationally. The two self-funded artists have managed to create a totally unique annual Christmas experience, that promises to leave a lasting impression on their visitors. 901 Dayboro Road, Whiteside . 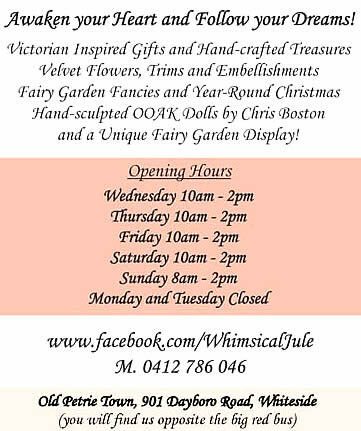 Please contact jule@whimsicalimaginings.com.au or M. 0412 786 046 for further details. "Awaken your Heart and Follow your Dreams!"